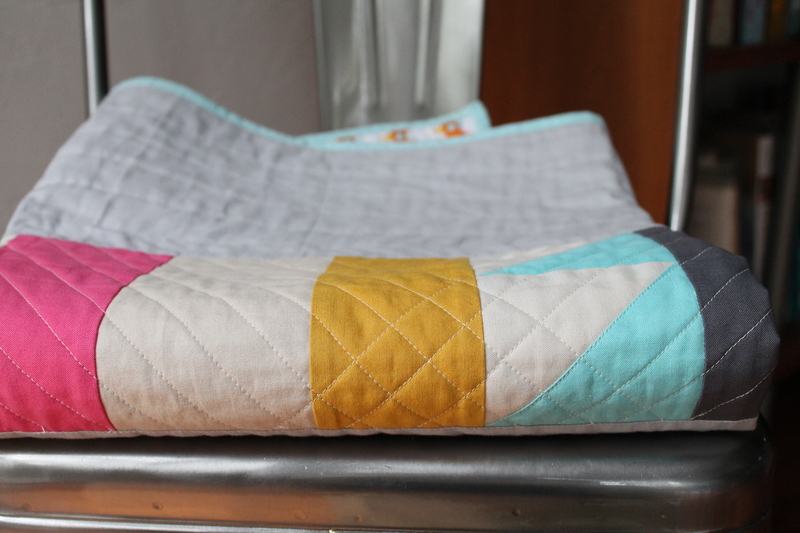 I just finished a pattern for this fun geometric quilt and added it to my Etsy shop! I think this is a great project for a beginner–no precision cutting and piecing to worry about–and lots of room to improvise. If you would like a a free copy of the pattern, please leave a comment letting me know your three favorite Kona colors (or just your three favorite colors) and I’ll pick a winner by Friday, March 20. Thanks! This entry was posted in quilts on March 17, 2015 by brigitdermott. 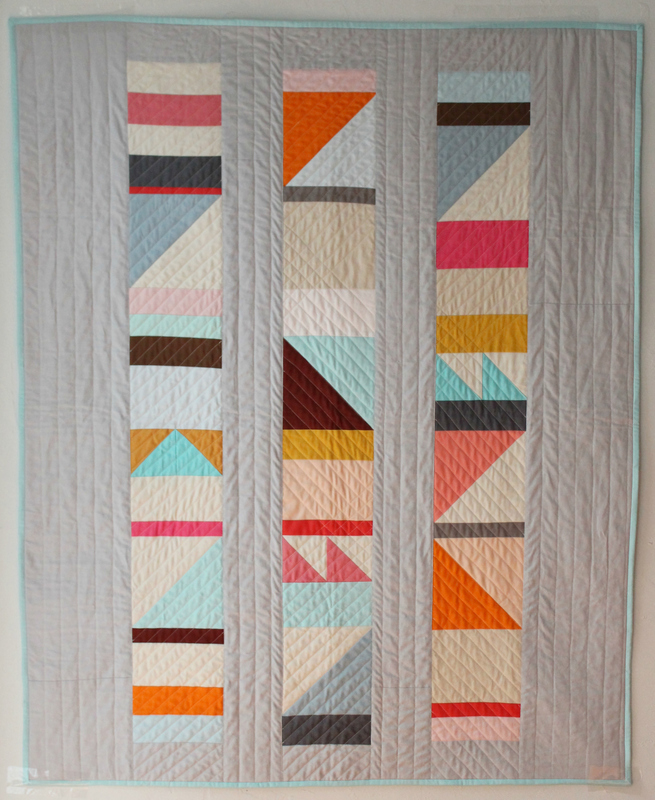 Just came across this delightful quilt on Pinterest! I would LOVE a copy of the flag day pattern, including the color #s if at all possible. My sister-in-law and I are making a wedding quilt for our nephew and niece (to be), and this pattern seems perfect to us. Somehow it “feels” like the Tucson they know and love. Likely we’ll adapt it to a queen size quilt and put family signatures on a border ’round the back side. We don’t want to clutter the front too much. It’s just beautiful. Great pattern, like the bright and fresh colors!